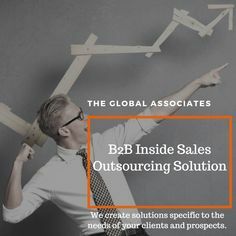 The Global Associates Sales Lead Generation In India is all about dealing with objections, overcoming resistance and clarifying expectations of prospects every day. These objections would naturally be quite unpleasant at times, the response of the recipients would often be cold and unfriendly; yet the path to boosting sales lead generation in India lies in finding a way out. One must know how to convert rejections into opportunities, how to revitalize the dead leads and convert them into deals. The success mantra lies in making an unhelpful person provide you with the required information. Following are some useful tips to elicit some valuable information from unresponsive people and stay in contention for the job. One often get to talk to unintended persons during cold calling, however, hanging up too soon serves no purpose. You just lose an opportunity of knowing something useful by giving up without even trying. Making every call count is paramount to boost sales lead generation in India. Even if the person at the other end of the call is not the intended one, you can always ask for a referral, some useful information about the working of the organization, the contact details of the right person etc. Try not to let the opportunity go waste. We are working in an era of stiff competition, there is every chance that the prospect is already engaging some other agency for the job. Even if they tell you this fact categorically, don’t let this dampen your spirit. They would of course be in a hurry to end the call immediately, but try to keep the call going for some time. This would help you know if the prospect is having problems with the current vendor, or if you can offer a better solution etc. The information would let you gauge if there is any scope for you to get a foothold. By keeping the call going a little longer, you may still get something out of nothing. Don’t get disheartened too soon even if the person at the other end sounds hostile or doesn’t show any interest. It’s best to still try to get some useful business information that might be useful in future. They may not engage you at present, but may need your services in future, so hanging up without exploring such opportunities is like letting a possible deal go. Sales lead generation India is a tricky job; one must try to take the full value out of every cold call. Be persistent, open minded and enterprising and the success will come your way. If you lose hope, you lose everything anyway.